The Orchard Farm School District uses an Internet filter to block websites that are either inappropriate or distracting for students. However, sometimes a website may be improperly categorized. 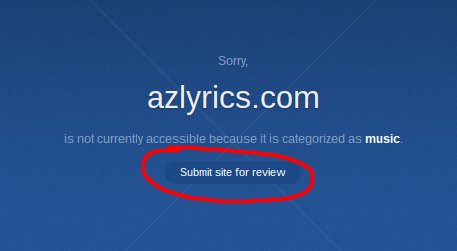 To request a website to be unblocked a user can easily click the Submit site for review button. Be sure to include a brief description as to why the website should be unblocked. The request will be reviewed and an email will be sent once the request has been approved. The technology department takes all requests seriously and reviews each site submitted. If you have any questions please email itdepartment@ofr5.com.